Appling, Georgia (March 15, 2019) – March Madness: It’s not just for basketball anymore. While 65-plus NCAA schools are set to spread out across the nation to settle the annual question of which hoops squad is best, disc golf is bringing more than 70 teams to town for the National Collegiate Disc Golf Championship (NCDGC), a Professional Disc Golf Association (PDGA) Major event. The four-day tournament takes place March 27-30 at the International Disc Golf Center here in Appling, which boasts three championship-level courses that will help decide the winner of college disc golf’s most prestigious crown. 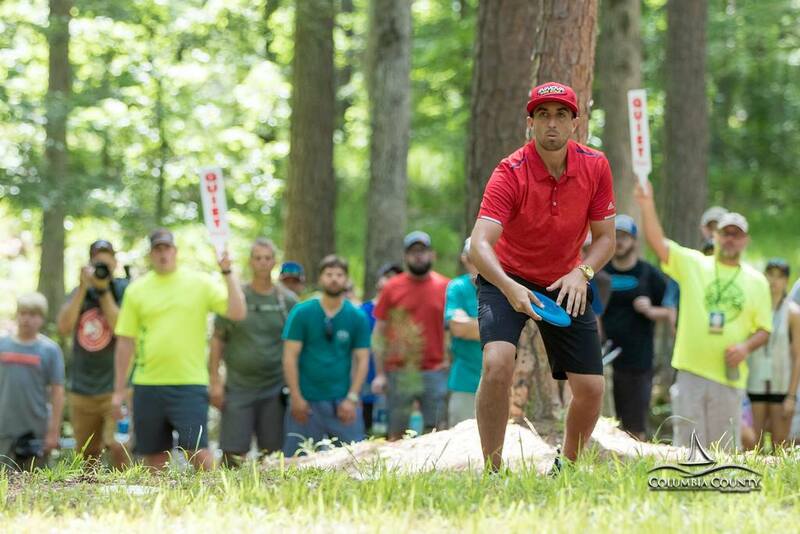 With a format that mixes team doubles play and singles competition, the NCDGC is one of the sport’s most unique events. Forty colleges will don their colors for a rousing opening ceremony Wednesday at 10:30 a.m. before taking to the course for five grueling rounds. Singles champions will be crowned Saturday morning before the team title is doled out that afternoon. Headlining the affair are defending men’s champions Mississippi State University and women’s powerhouse Liberty University, while perennial contenders like Michigan’s Ferris State University and the hometown heroes from Augusta University look to play spoiler. In addition to the competition, there will be plenty of fanfare for disc golf aficionados and new converts alike, as equipment vendors will be on site each day and food will be available for purchase. Top professional disc golfers will also be on hand to provide inspiration, as 2017 United States Disc Golf Champion Nate Sexton will also hold an instructional clinic Friday night. The event is free for spectators, though there is a $3.00 per car gate fee for entry into Wildwood Park. For more information on the playing format, and to see a detailed schedule, please visit NCDGC.com. This entry was posted in Announcements and tagged Disc Golf, Sports, Wildwood Park on March 26, 2019 by Shelly Blackburn.